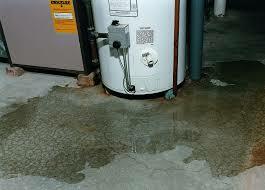 Although most property owners rarely think about it, the fact remains: Your water heater is eventually going to fail. And when it does, the ensuing water damage can be catastrophic. Did you know that your average tank-style water heater has a typical lifespan of about 10 years? Like any appliance, wear and tear and the inescapable effects of time degrade the connections or even the tank itself, and inevitably, something gives. 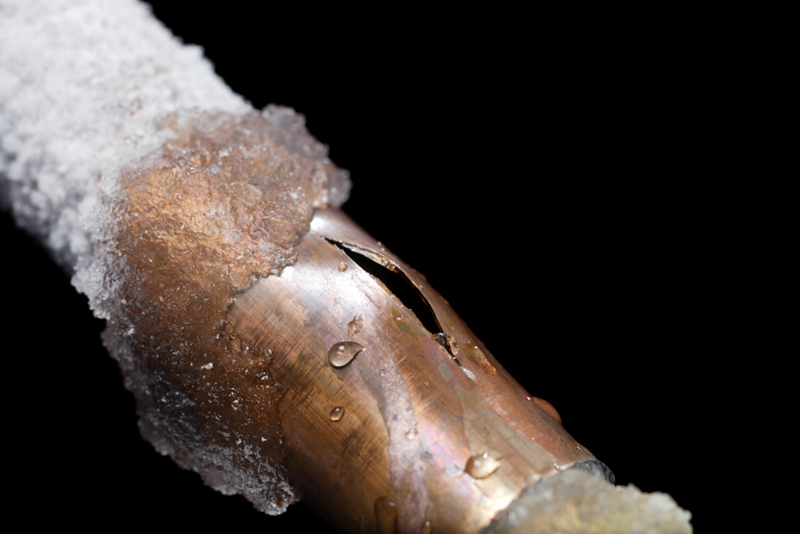 Unfortunately, it is best to think of your water heater as a ticking time bomb as it nears the 10 year mark. The first sign of a failing water heater, most often than not, is leaking around the base or on top of the water heater itself. Or sometimes you might see discolored or rusty water coming from the water tap indicating corrosion. A decrease in the usual temperature of the hot water as it is running can also be a signal. But, by far, the most catastrophic water heater failure is a complete rupture of the tank itself resulting in the release of hundreds of gallons of water onto your property. The long-term stress of contracting and expanding with constant temperature variations can lead to a sudden rupture of the tank, without warning. This scenario carries a greater risk when water heaters are located within the interior of the home, such as in a hallway closet or in a finished basement. One average-sized water heater tank letting go in the middle of the night can literally flood an entire home with one to two inches of water. So, what is it you can do to prevent such devastating water damage? 1. 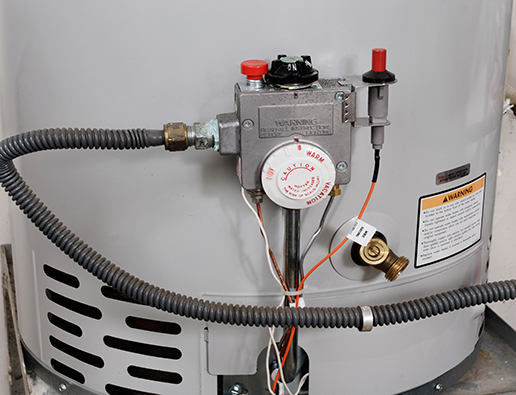 The first and best action to take is to inspect and monitor your water heater frequently. Periodically check for moisture surrounding the plumbing connections or for pooling water on the top of the tank or on the stand it rests on. 2. If you notice any water leaks, soggy drywall or the appearance of mold, don’t hesitate to call your local plumber or HVAC to come out and perform a moisture inspection before the damage gets worse. 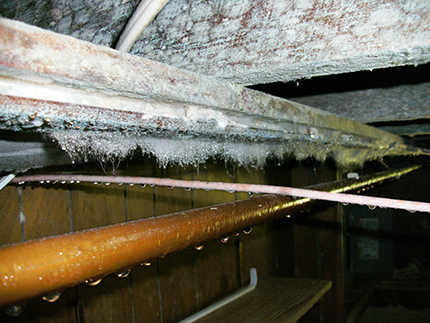 Quick response is the key to avoiding long-term and costly water or mold damage. 3. If you are renovating your house, strongly consider relocating the water heater to the garage where the potential for damage is lessened. Also consider placing the tank on a metal stand designed specifically for water heaters. 4. These stands can be purchased at your local home improvement store very inexpensively, are easy to assemble and are mostly impervious to water damage. If your water heater is older than 10 years, consider purchasing a new one or upgrading to a tankless system to preemptively avoid an older unit failing. In the unfortunate scenario that your water heater suddenly bursts and you wake up to a lake in your living room, immediately call Single Source Disaster Recovery Specialists, Single Source is the water damage clean up and removal experts throughout Rhode Island and Southeastern Massachusetts. Single Source uses state-of-the-art extraction pumping equipment to quickly remove standing water from your home and can immediately minimize further damage to your home or business. 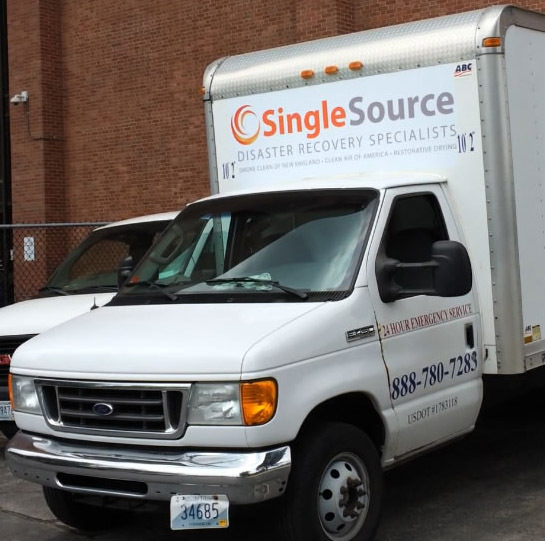 Whether the damage is minor or severe, Single Source is a water damage restoration service that will be there for you every step of the way and can work directly with your insurance carrier on your behalf, while keeping your best interests in mind. Remember that you as the homeowner have the right to choose who works in your home – whether it’s a corporate franchise or your local specialists – the choice is up to you, not your insurance carrier. Beware of the Ice Dam!